Stepping up its India focus, YouTube along with Subhash Ghai-owned film school Whistling Woods International, has opened its first video production studio in the country. Called YouTube Spaces, it has similar collaborations in Los Angeles, London, Tokyo, New York City, Sao Paulo, Paris and Berlin. The company said that the “watch-time” of its content in India was growing at 80 per cent on a year-on-year basis while the content uploaded to India has grown by 90 per cent. Through this collaboration, India’s popular up-and-coming YouTube creators, as well as their students, will have free access to Whistling Woods’ studios, high-end audio, visual and editing equipment, in addition to training programs, workshops and community events. Lance Podell, Director, Global Head of YouTube Spaces, said, in addition to physical studio space that is available to students and creators, YouTube and Whistling Woods are developing original courses to train filmmakers, especially to create content for the digital and online media. 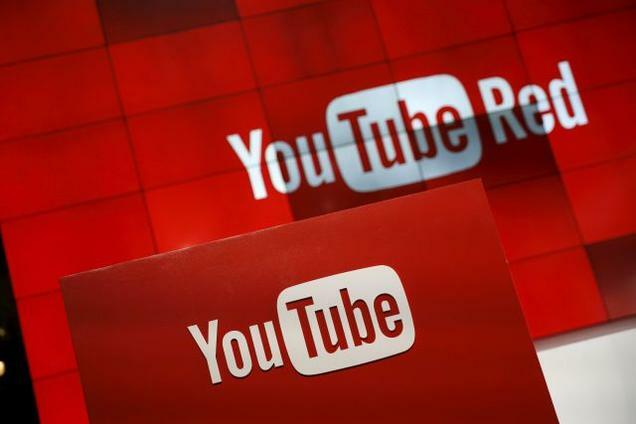 YouTube said that the viewership from mobile devices was growing much higher than desktop. “There is a 55 per cent watch-time from mobile devices,” he added. “We see growth coming from not just metros but also tier II and III cities. The headroom for growth from India is huge as net connectivity improves,” said Ajay Vidyasagar, Regional Director, Youtube Partnerships, India and South East Asia. Youtube, which has a billion in viewership, is seeing a huge surge in creator-based content. He said the company was also looking to step up the offline views. Netizens all are very particular about the safety of personal and financial assets, keeping them locked and in vaults. However, when it comes to online presence, not many pay a lot of attention to creating a secure password. One of the most common mistakes of netizens is the use of the same password or its variants for multiple accounts. This was among the findings of a study conducted recently by cyber security giant Kaspersky Lab to test people's cyber savviness. The study found that only 38% users made the effort of creating strong and separate password for each of their accounts. Around 36% use just a few passwords for a larger number of accounts and 12% use variations of the same password pattern. Another mistake was in the form of storing passwords in easily accessible places. "Passwords are the basic level of security for our virtual presence. Unfortunately, not many internet users understand the scale of cyber threats they face because of a weak password," said Altaf Halde, managing director South Asia of Kaspersky Lab. A strong password is the basic security requirement for anybody using the internet to share sensitive data, he added. Federation of Karnataka Chambers of Commerce and Industry (FKCCI) and Microsoft have partnered to help more than 2 lakh small medium businesses (SMBs) in Karnataka to adopt technology with cloud computing. This initiative will not only open more avenues for SMBs but also help them connect better with their existing customers and reach out to the potential customers across India.